Foreign humanitarian aid saved tens of thousands of Armenians from death during the Armenian genocide of 1915. These efforts have been well documented, but the role of the Armenians themselves in the relief work has received scant attention. 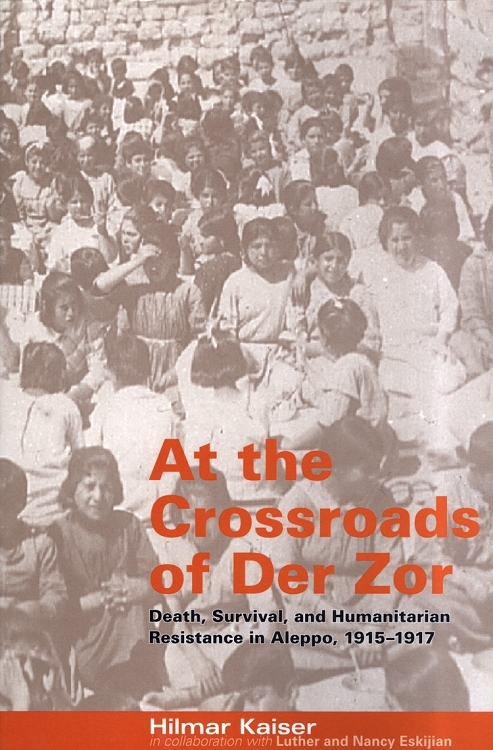 At the Crossroads of Der Zor: Death, Survival and Humanitarian Resistance in Aleppo, 1915-1917 is an in-depth study that shows how Armenians initiated and organized relief efforts as an active form of resistance against the genocide. It focuses on one crucial location--Aleppo--where caravans of survivors converged and on one extraordinary individual, Reverend Hovhannes Eskijian. Reverend Eskijian identified the survival of Armenian orphans--along with the few remaining teachers, physicians and other intellectuals--as the only way to foster the reemergence of an Armenian community after the genocide. Thus, the fight for the survival of orphaned children became a main axis in combating the Ottoman government's genocidal plot. The success of the "humanitarian resistance" depended not on the total number of survivors, but on the number of young Armenians who avoided death and forced assimilation to form new, Armenian families.